This is very bad news for all road users, whether motorcyclists or motorists. 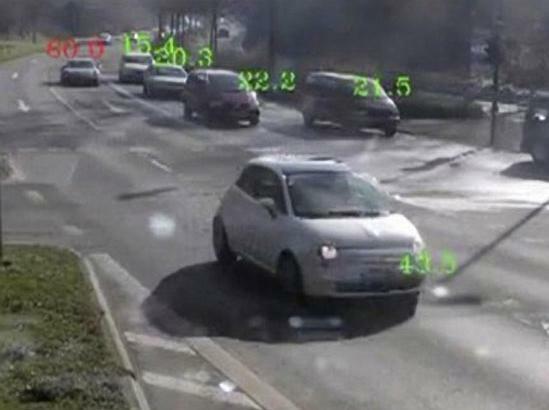 A brand new road camera has been successfully tested in Switzerland. The camera, called Trafistar SR590, can detect a lot more than just overspeed offences. It can detect up to 10 road offences, which so far can only be detected by manual intervention, such as the police stopping you for non-adherence to the highway code. The super camera can follow the position of up to 22 vehicles over a distance of 500 metres and analyse every single movement of each vehicle, picture what they may do wrong, take a separate picture of the driver and another of the vehicle’s registration plate. For motorcycles, the radar is equipped with a camera that can picture the plate from the rear of the vehicle. The device is able to take up to 6 pictures per second, meaning that it can deal with 6 vehicles breaching the highway code at the same time. 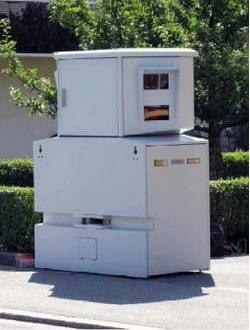 The new device has been tested in Geneva for the last three weeks and is now about to be installed on the roads. Jean-Marc Pecorini, in charge of traffic police in the Geneva area, has said that the authorities were very happy with the new device. That statement doesn’t come as a surprise at all since the new radar is able to generate thousands of Swiss francs worth of fines as a result of hundreds of motorists and motorcyclists being caught on the roads. And this is not the end of it, the city of Lausanne is next to see this device being installed. For our Swiss readers, be warned. The device is about to be installed just in front of the large clock at 28 quai General-Guisan in Geneva and will keep an eye on the four lanes coming from the Mont-Blanc bridge. The only problem with this new toy is its high cost. At 80,000 Swiss francs (GBP 50,000 or EUR 60,000), it’s not cheap. We can only hope that the high cost of the device will stop other countries adopting it. At this rate, it might be more economical to get rid of your car or motorcycle and take the train! At least, you won’t be taken points off your licence and have to pay God knows how much in fines. Good luck and let us know if you see this device coming your way! Since when was this an offence? When they provide us proper motorcycle filter lanes we will use them. In the meantime we will use whatever lanes are available to get through car jams. Otherwise we may as well all use cars. Are these things fire proof…? Dear little Switzerland, with their peaceful, non-aggressive populace and quaint laws and customs. and their draconian punishments for traffic offences. When I worked there, many years ago, I was told that one of their most common crimes was the ‘crime of passion’ as they have National Service and keep their weapons at home (deploying them on return from service to find the wife in bed with her lover). I think that the Swiss should rise up and put those weapons to better use.